When you go to download MikuMikuMoving you are presented with a history of the various versions available … be sure to upload the latest version of MMM … you probably do not need an earlier version. Updated More Often than MMD! Seeing those options made me laugh. It’s not just MikuMikuDance that gets updated every few weeks … MikuMikuMoving looks to be going through similar gyrations! I like that MOGProject lists the various older versions of MMM. The MMD VPVP homepage only shows the latest version of MikuMikuDance as if it’s the only DirectX version that ever existed. LearnMMD.com hosts all of the earlier versions of MikuMikuDance, starting with MMD 7.39 through today’s version. (If you do not see the older version you are looking for, just adjust the link to the ZIP file to show the version you want … we have it for you!) 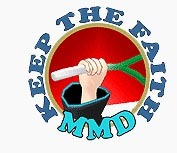 See the LearnMMD Downloads Page for the latest versions of MMD and for links to the MOGProject homepage where you can get MMM. So I have Windows 10 and MMM, however, MMM (32&64 versions) and MMM2 suddenly won’t start up anymore. The logo pops up and then crashes on loading settings. I sent Mogg an email about it sometime long before Christmas, but I haven’t gotten a reply. I’ve tried different compatibility settings, and still crashes in the same spot, so I’m like really lost. Would anyone be kind enough to help me? I’d greatly appreciate it! Thanks in advance! I downloaded MMM. But when I try to run it it stops responding. Is there a somthing I need to download to get it to work? Like with MMD to fix the side by side error.